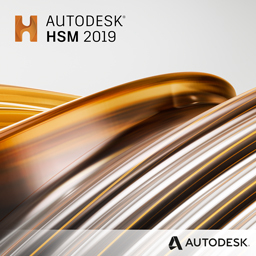 Autodesk® HSM software, part of the Autodesk Manufacturing Solutions, is a CAM add-on bundle which integrates into Inventor and SOLIDWORKS®, the two most widely used design packages. It also includes Fusion 360 for cloud design and manufacturing. Autodesk HSM provides a seamless workflow from design through CNC manufacturing, maintaining model associativity for automatic update with part changes. HSM creates reliable and efficient CNC cutterpaths for 2.5D, 3-axis, 3+2 axis, 5-axis, turning and mill-turn CNC applications. Advanced functions like Adaptive Roughing allow for reduced mill time while extending tool life. Multi-core CPU support and distributed CAM provide the industry’s fastest calculations. Contact us if you are interested in purchasing Autodesk® HSM software. Applied Engineering is authorized to sell Autodesk products throughout the United States and has offices in Minnesota, North Dakota, South Dakota and Wisconsin.